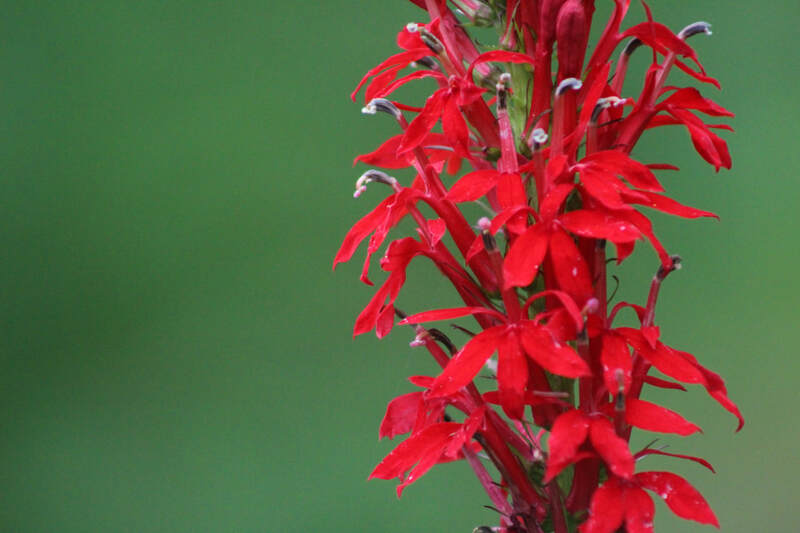 Perhaps the most vibrant native plant, Cardinal Flower's scarlet spike of flowers bloom in late summer. It is not uncommon to see many swallowtail butterflies feeding on a stand of Cardinal Flower. A hummingbird favorite.